The maintenance experts of Richardson Auto Repair have been honored to serve Niagara Falls for the past 64 years. While we focus on Auto Repair, Engine Repair, Brake Repair, Auto Electrical Service and Custom Exhaust Repair, we also provide a long range of other auto repair services listed on our services page. 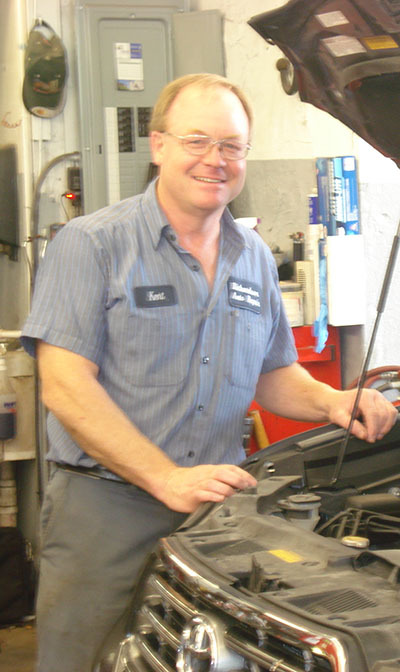 Our auto repair experts have built our reputation by providing consistently superior service here in Niagara Falls, operating with the same owner since 1994. "This place of business was highly recommended. I came in.."
"Always fair and professional. Very good quality of work with.."
"We tell them that work done is great and they.."
"I am VERY happy with the people at Richardson auto..."
"Very knowledgeable, trustworthy, and reliable. I have been.."
"Excellent customer service and honest business. This is a.."
"Every one is very friendly and helpful. I was very.."
"I trust Kent and his employees completely. Kent has been.."
"I would tell them they are reasonable and honest. Very.."
"Great folks at Richardson's. Outstanding service, honest, fair, and.."
"Excellent. Completes the repairs timely and I have not needed.."